Adam David Lallana popularly known as Adam Lallana is an English professional footballer, born on 10th May 1988 in St Albans, England. Primarily an attacking midfielder, Lallana also operates from both side of the midfield, central midfield and both the flank of wings. The utility player currently plies his trade for Liverpool. At the age of five, Lallana joined Bournemouth’s Centre of Excellence and moved to Southampton academy in 2000. He was diagnosed with an irregular heartbeat at the age of 17 apart from suffering from ulcerative colitis. However, Lallana was handed over maiden senior team appearance in a League Cup match against Yeovil Town in August 2006. In October 2007, he went to Bournemouth on a four-match loan stint. He was named in the League One team of the 2010-11 for scoring 11 goals. Lallana featured at Under-18, Under-19 and Under-21 for the English national football team. Lallana played in the right midfield in his international debut in an international friendly match against Chile in November 2013. He was replaced in the 77th-minute. The English international put up an impressive performance in the 2016-17 season netting eight times and providing seven assists in 31 matches. His skill on the ball, his renovated energy steered his performance to the top level. 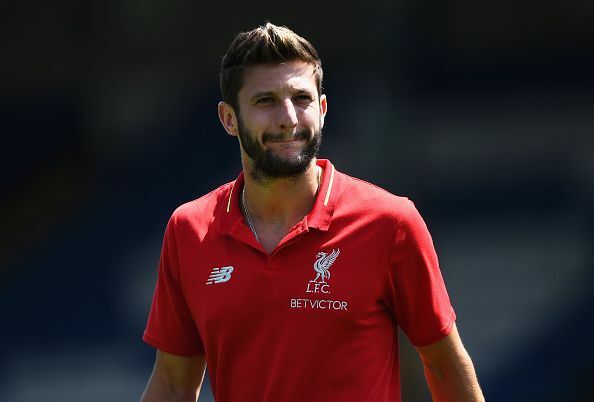 During the pre-season Audi Cup match Atletico Madrid in August 2017, Lallana suffered a thigh injury which ruled him out for three months. Coming back in action, the midfielder appeared only 13 times in all competitions before picking up a hamstring injury against Crystal Palace in March 2018. Although he is expected to return before the end of the season, Lallana’s injury meant he was excluded from the national side for the 2018 FIFA World Cup. Lallana spent eight years at Southampton playing in both the top tier and second-tier league for the St.Mary side. Lallana was awarded the Saint's captaincy in 2013 on their return to English Premier League. In the summer of 2014, Lallana penned a contract with Liverpool. His good performances for the Reds earned him an extension of his contract to 2020 in February 2017.